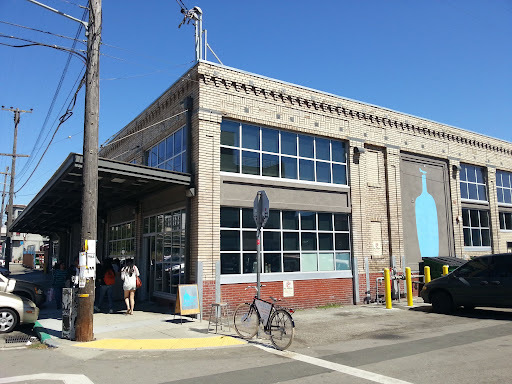 The Blue Bottle in Oakland is their only outpost in the Bay Area outside of San Francisco. The large building its housed in reminds me of their Williamsburg location. When you walk up to the building, the size is misleading. It mostly houses its roasting plant and only a small section is actually the cafe. The setup in side is quite tiny with only a couple window seats inside and some tables outside. I really wished they had a couple brunch items like in the Mint Plaza location, but they do have a small selection of nibblings to compliment your coffee. All the pastries here, such as the olive oil shortbread, parmesan shortbread with sea salt and fennel, lend a sophisticated taste to the standard coffee nibbles. Blue Bottle's famous individual drip coffee and their double chocolate chip cookie was a nice way to enjoy some sun in Oakland. The double chocolate chip cookie is not your average chocolate chip cookie here. The cookie is soft and chewy with salt crystals speckled throughout the cookie for a salty surprise in each bite. I'm more of a purist when it comes to chocolate chip cookies and wouldn't really get this again, but the taste is unique. 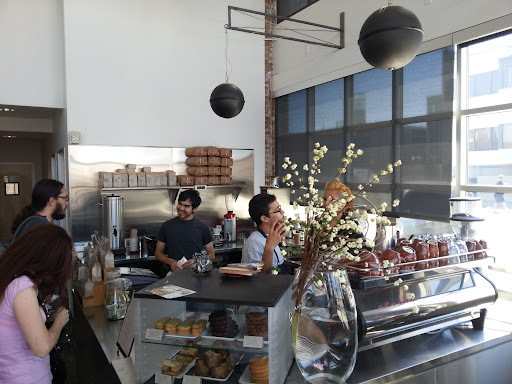 Address: Blue Bottle Coffee Co.